The Event Center at Highland Brewing Co.
We are incredibly proud (and honored) to have worked on every aspect of the Highland Brewing Co. campus, so we were thrilled to have yet another opportunity to work with Oscar and his fear less team at HBC to design their roof top event space. 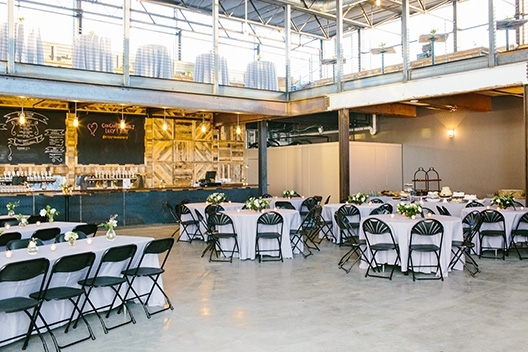 The space has essentially three different zones- ground floor, mezzanine and roof-top bar giving HBC the ability to rent it out for large or small scale events. And did we mention the Event Center uses 100% solar power on sunny days?